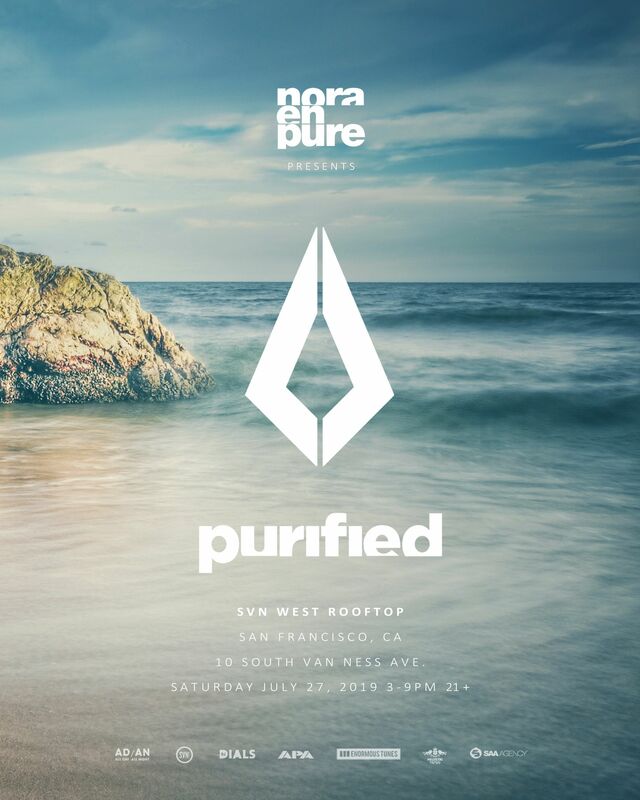 Nora En Pure, All Day All Night, Second Self, and DJ Dials present PURIFIED at the SVN West rooftop on Saturday, July 27th from 3pm-9pm. House music fans and day party enthusiasts, we’re up to something really special this Summer. Our mission is to provide quality events at unique venues and this one takes the cake. This will be the very first public music event on the massive 2000+ person Rooftop ad SVN WEST located in the heart of San Francisco on the corner of Mission and Van Ness. Being hailed as the Brooklyn Mirage of SF, there’s no venue like this in Northern California and it’s one of the most unique open air spaces in the country, you’re going to be amazed. The space dates back to the late 1920’s when El Patio Ballroom opened there, hosting swing and big band musicians like Les Brown, Woody Herman, Stan Kenton, and Harry James. At some point, it became the Carousel Ballroom which operated up until 1968 when Bill Graham took it over. After about six months, he changed the name to Fillmore West (Fillmore East being his auditorium in New York City) which hosted some of the biggest names in rock and roll during its brief three year run. The PURIFIED parties are known as some of the best dance music events on the planet. We’ll be curating an amazing lineup to have you dancing from start to finish. There’s no better way to spend an afternoon in the city than dancing the day away in a fun and safe environment with beautiful music as the soundtrack. We expect a sold out event, please get your tickets right away.